On yesterday, I was in a really funky mood. I wasn’t feeling the best, money was acting funny, and it was chilly lol! However, as the day went on, I was in better spirits. Isn’t that life? Don’t we have those moments when we just feel like everything is going wrong, but yet things turn out right? Battling Multiple Sclerosis, has truly humbled my spirit. I don’t take any day for granted. I appreciate the fight in me. I realize that God has given this journey to me for a reason. 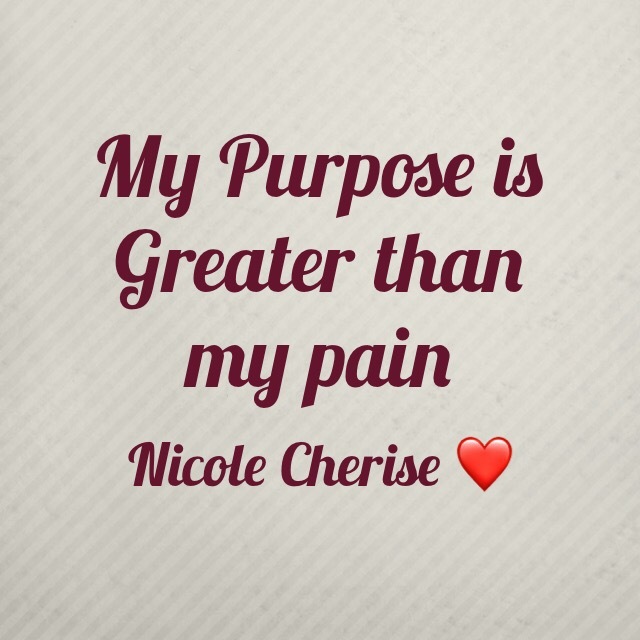 My Purpose will Always be Greater. I do feel that I can Motivate, Inspire and Support anyone who is in need. The same goes for you. Your strength, the works that you do, your drive, your passion is Greater than the struggle you are dealing with. Things will get better, You will get better!